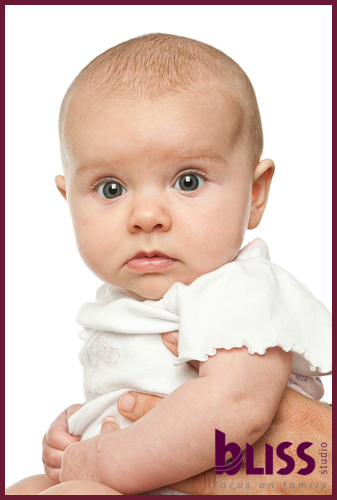 Gorgeous 3 month old Emilia came in just before Christmas for a series of baby photos. What a happy little cutie she was. Emilia just loved her hands and feet which were constantly finding there way into her mouth. It is so amazing watching a baby be amused by the simplest of things. When we laid Emilia down on our fluffy sheepskin the smiles didn’t stop coming. 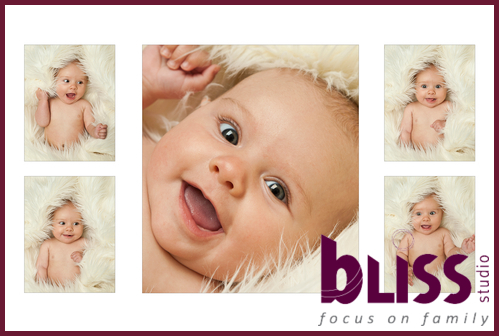 It was so easy taking a whole series of wonderful baby portraits when you have such a cooperative baby. Mum and Dad were thrilled with the results and now have 2 gorgeous framed composites proudly on display in their home. We thought Emilia was such a cutie we decided to include her in our gallery showcase on our Home Page! We hope to see Emilia again and have a return of that winning smile. Thank you Craig for the wonderful pictures you took of Emilia. We know she is gorgeous and now we have proof! I can’t see a slide show…..just the framed pictures.